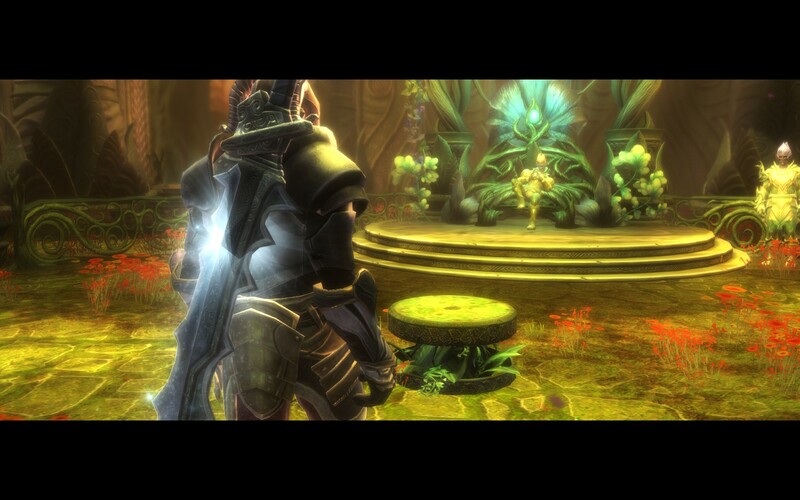 Kingdoms of Amalur: Reckoning isn’t a game I thought that I would be playing. Out of all my gaming friends only one of them had played it (and didn’t care for it) and I, as always, avoided the hype for it just in case I did end up wanting to play it. However after reading the AMA on Reddit from the writer behind it there seemed to be an awful lot of fans of his work so I figured the title would be worth the look, even if I hadn’t heard of the developers or writer behind it. Kingdoms of Amalur starts with your unceremonious death on what appears to be a battle field, felled by a race of corrupted immortal elves called the Tuatha. You’re then taken to a mass grave to be dumped and forgotten along with all the other soldiers that have fallen in the war. However despite your apparent death you come back to life shortly after being dumped amongst the dead. It is soon revealed that you were used in part of an experiment to duplicate the immortality of the elves with the mortal races of the world and you are the first one to succeed. Your resurrection also granted you freedom from fate, a power that you’ll make great use of throughout the entire game. Despite the heavy stylization that Kingdoms of Amalur makes use of the graphics are still heavily dated, being far more appropriate for something like a MMORPG than a single player game. As far as I can tell there are 2 reasons for this: the first being the obvious point that this is a dual release on Xbox and PC and we’re limited by its dated graphics potential. The second is that this particular engine is more than likely going to end up being used for an upcoming MMORPG based in the same universe. I can understand that this makes sense from a business point of view but in comparison to all the other titles that have been released recently Kingdoms of Amalur won’t win any prizes for cutting edge graphics. There are several “ooooh pretty” moments (like the one below) but they’re the exception rather than the rule. What Kingdoms of Amalur does have going for it though is its unique approach to the traditional elements of a RPG. Whilst it’s a RPG at heart with all the levelling systems, talent trees, loot and so on it’s the unique take on each of these aspects that makes Kingdoms of Amalur stand out from its counterparts. For the vast majority of RPGs, including Kingdoms of Amalur, you’ll begin by choosing your race and what your character looks like. Usually then you’ll also pick your character class which will determine how you do combat (and various other things) throughout the game. Kingdoms of Amalur has a much more flexible system: you put points into one of three talent trees which determines what kind of class you’ll play as. The 3 trees are your typical archetypes (warrior, rogue, mage) but you can mix and match between them and once you reach a certain number of points in a tree (or several of them) you’ll get a buff that corresponds to your choice. Should you not like the choices you’ve made there’s NPCs who can reset your talents everywhere, an absolute godsend in a game where the freedom to choose your class can have you making some decidedly bad choices early on. Combat in Kingdoms of Amalur is a strange mix of hack ‘n’ slash mouse mashing with elements of strategy chucked in so the game didn’t get thrown in the same bucket as other titles like God of War. Initially, when you have very few other abilities, you’re pretty much stuck with clicking the left mouse repeatedly and attempting to dodge any incoming blows. As you progress further though your options become much more open, leading you to be able to execute long combos on enemies that end with devastating force. After a while though it gets to the point where the only challenge comes from times when the game deliberately throws multitudes of enemies at you and even that is mitigated by Diablo-esque potion swilling. I think the main issue here is one aspect of the combat that’s simply assumed that you’ll use whenever something difficult comes across: reckoning mode. As you defeat enemies you’ll fill up the Fate bar, the purple looking one in the screenshot above. When that hits full you can enter Reckoning Mode. What this does is slow down time for everyone else but you and also sends your damage output through the roof, making you nigh on invincible. This doesn’t last forever though, about 30 seconds at my count, but that’s usually enough for you to dispatch most enemies (and bosses) before the timer runs out. Should you not have the fate meter full at a critical point though you’ll have to struggle through the fight, chugging potions and trying to stay alive long enough to fill the bar up. Once you understand this it’s quite easy to judge when you’ll need it but the one fight where I didn’t have it and it was obvious that the encounter was designed to for me to use it there wasn’t exactly a pleasant experience. 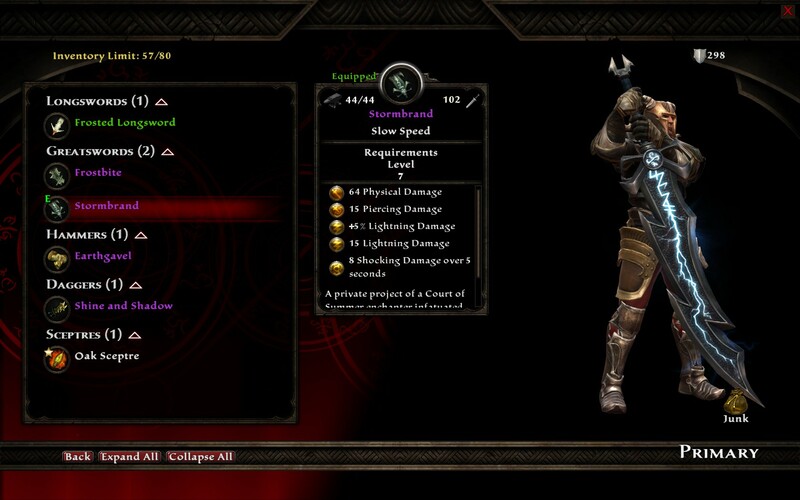 What Kingdoms of Amalur does get right is the inventory system. Whilst you don’t have an unlimited inventory with which to stash the incredible amount of loot that drops they have taken out the laborious inventory management that usually plagues RPGs. Your main inventory of potions, usable items, weapons and armor are limited to a certain number of slots. However you have 3 unlimited crafting bags that hold components for you. What this means is you’ll never have to worry about having to clear out your inventory to pick up that reagent and you can keep carrying those reagents with you everywhere. What this means is that you’ll actually want to pursue the crafting options in Kingdoms of Amalur rather than ignoring them and then power levelling them when its worth it. The crafting system also deserves praise as it’s a worthwhile pursuit in Kingdoms of Amalur. Blacksmithing for instance can break down all the items you pick up into their various components which you can then use to build better armour and weapons for yourself. Alchemy has the awesome mechanic of experimentation where potion recipes can be discovered by randomly mashing ingredients together and seeing what comes out the other end. Sagecrafting, in essence making gems for socketed equipment, has a similar mechanic but you’re able to see the outcome before you commit the ingredients. High levels of blacksmithing allow you to combine gems into your crafted equipment, making it on par with many of the best drops you’ll find whilst questing. Overall I was very pleased with the way the crafting system was implemented, much more than I have been with other RPG/MMORPGs. Now I have to say that for the first few hours, indeed probably the first 6~8 hours, I was incredibly bored with Kingdoms of Amalur. At the beginning there’s really no feeling of tension, nothing that’s really driving you forward. Your resurrection as the Fateless One has stripped you of your memory and whilst there are several characters that recognise you it’s not until you’re near the end of the main quest that they’ll tell you anything about your past. The open world doesn’t do anything to alleviate this lack of drive either as you’re completely free to ignore the main quest and just simply do whatever the hell you want to. This is one of the times where the possibility of reviewing the game kept me going, that was until after I passed the 8 hour mark. After that many of the stories that I was following started to develop and began to become interesting rather than just an impediment to me levelling my character. Even some of the side quests, ones that you could simply pass by and never do, had interesting stories to them that spanned over the course of an hour or more. Thankfully the quest log is unlimited so that you can pick up pretty much every quest in sight and then complete them at your own leisure. Doing so would put your total play time somewhere north of 100 hours however, something which I’ve never really done outside of MMORPGs. 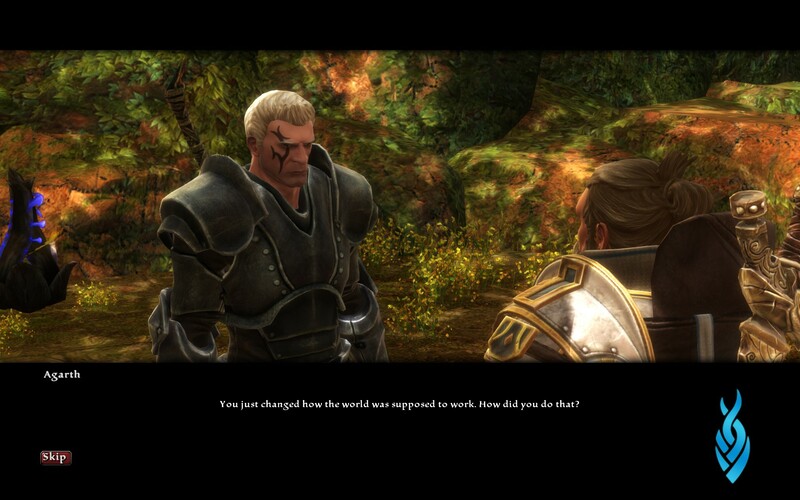 So taking that all into consideration how does Kingdoms of Amalur: Reckoning stack up as a game? It definitely has its fun moments, especially towards the end when you can take out legions of enemies without breaking too much of a sweat. The story, whilst lacking at the start, is incredibly detailed and the multitude of side quests reveals a depth much greater than its appearance would lead you believe. They also got the loot system right as whilst I was drenched in epics and set pieces by the end I still got a thrill every time I saw a purple drop and an even bigger one when it was an upgrade for me. There are however some issues that can’t be overlooked despite the rational explanations for their choices. 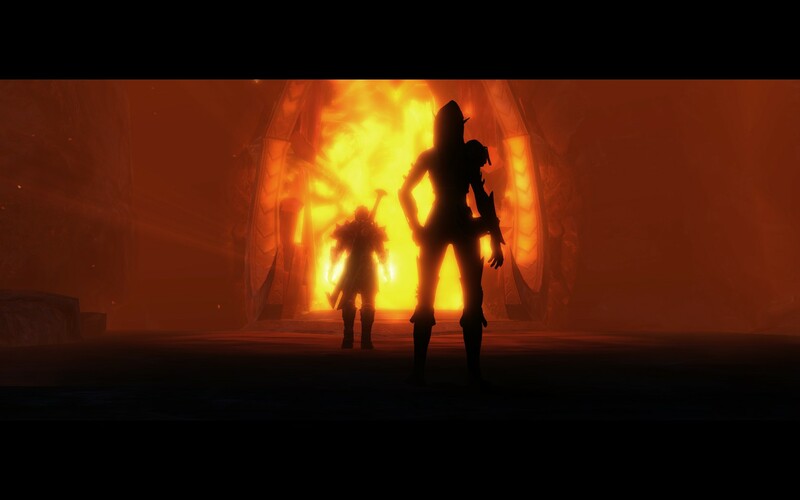 The graphics aren’t that great even when compared to other stylized games like World of Warcraft. The barrier to the meat of the game is incredibly high, rivalling the lengths of many AAA titles. Thinking about it more I feel the same way as I do about Skyrim. All the elements of the game work well together, as long as you give them enough time, but the sheer size of the game means that eventually you’ll get to a point where everything starts to feel the same and there’s really no getting passed that. Indeed just as I did in Skyrim before I did in Kingdoms of Amalur: Reckoning, I got to a certain point where my character was pretty much unstoppable and then just powered through the main quest line. After that the lack of motivation sets in again since there’s nothing driving you and it’s best to leave the game as is. 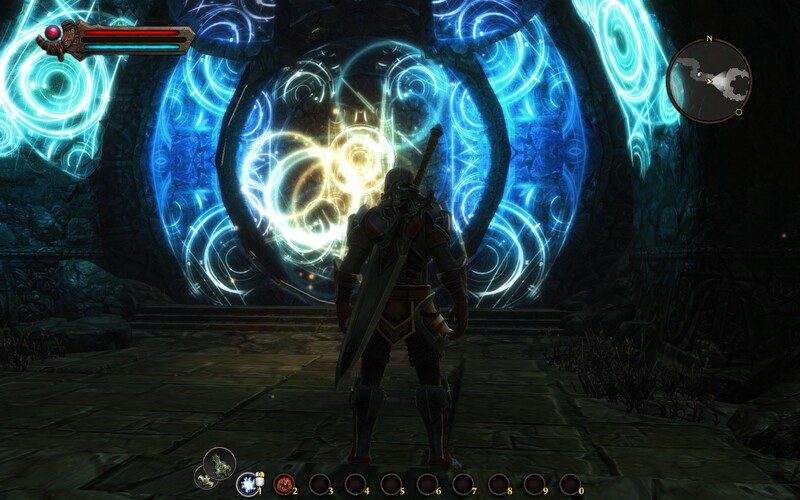 With all that in mind however I still feel that Kingdoms of Amalur: Reckoning is a solid game and I look forward to the upcoming MMORPG version. 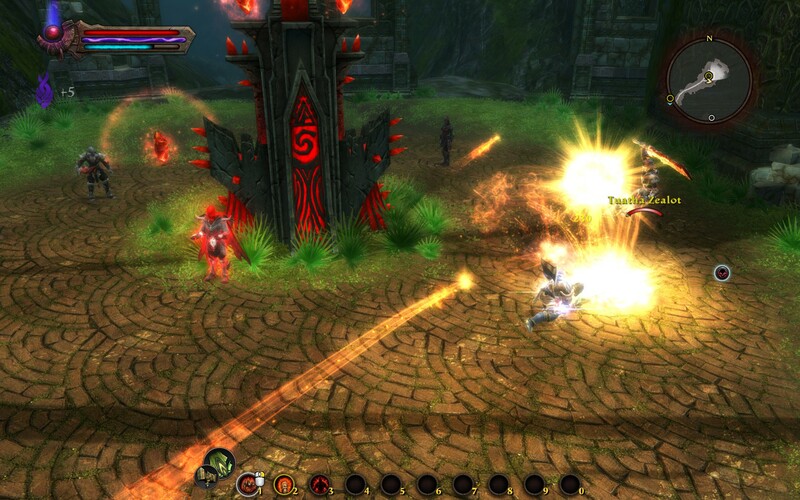 Kingdoms of Amalur: Reckoning is available right now on PC and Xbox360 for $59.99 and $78 respectively. Game was played entirely on PC on the Hard difficulty with 21 hours of total play time and 39% of the achievements unlocked. If you have any questions about my reviewing process please feel free to leave a comment or consult this guide.